Wow, pop up cinema does not get much better than this; Beauty and The Beast at the truly beautiful Caerphilly Castle! Join the kind and intelligent Belle as she journeys from her small, provincial town to save her beloved father from the Beast’s castle. Watch Belle as she sees past the Beast’s appearance and teaches us what real beauty is. Laugh (and cry) along to all those wonderful songs we love so well. And smile, as you watch this amazing film in such magical surroundings! 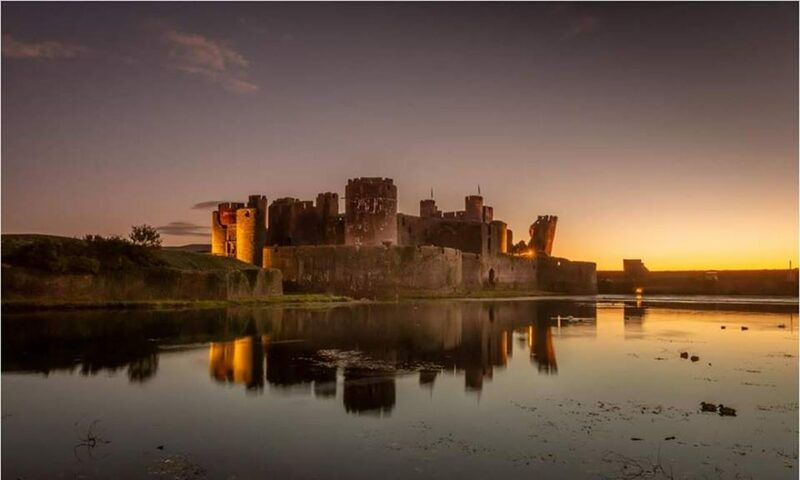 Join us at a truly extraordinary setting as Darkened Rooms heads off to Caerphilly. There may be some warmth to be had in these tales of magic and mayhem but that won’t be enough to stave off the winter chill of these all-but outdoor screenings, so please dress warmly.